Fresh spring weather is here in Arizona, and at Nevy Health we are ready to get you out there to enjoy it. Our chiropractors and medical professionals love exploring Arizona, and together we’ve come up with a list of eight hikes that range from expert to family-friendly for you to experience. ‘A’ Mountain at Hayden Butte is located off of Mill Avenue, and it’s a quick and easy hike. 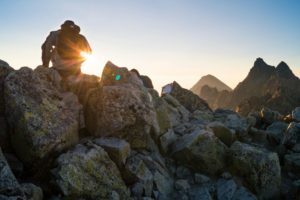 This hike is perfect if you are looking for something quick and easy since it should take you less than 40 minutes to finish. Once at the top you have an excellent view of the city and ASU campus. To park it’s about $2, but don’t mind the extra steps, there is free parking at Tempe town lake. The name says it all, Silly Mountain is on the edge of Apache Junction and is a perfect hike to take the kiddos on. Once you arrive, there are several trail options, but our favorite is about 2.5 miles long and loops around, so you don’t see the same thing twice. But you will want to be sure to check the maps when you come to the forks since you can get detoured and accidentally be put on to a challenging trail. There is a slight bit of elevation change and some hills, but nothing extreme. There are no bathrooms or water sources, so we recommend you plan accordingly and bring plenty of water but also use a bathroom before hitting the trail. The Treasure Loop Trail is located in the Lost Dutchman State Park, and is a perfect hike during the spring. There are typically plenty of wildflowers in bloom, and if you’re lucky you might be able to see some of the wildlife. The trail has a gradual incline but is minimal, and the trail itself is easy. The trail runs in a loop and is about 2.5 miles, but can longer if you take the other trails along the loop. There are views of Superstition Mountain and plenty of rest and photo opportunities along the path. We suggest setting aside 3-3.5 hours and bringing $7 in cash for parking. This a great hike for families, so we recommend all that have the time to get out in the spring weather and hit the trail. If you haven’t seen the beautiful pictures of Havasu Falls, we urge you to do a quick Google search. The water is an unbelievable turquoise and located in the Grand Canyon. Havasu Falls lies within the Havasupai Indian Reservation, and unfortunately, you cannot just go hiking in, you need a permit. The hike itself is 10 miles, 8 miles is to the small village of Supai and then another 2 miles to the campground. There is also $40 for the hiking permit/environmental fee, and if you decide to camp there, it’s $17 per night. This hike is breathtaking, and we recommend it for those who are more experienced hikers and have the time to make it a two-night stay. 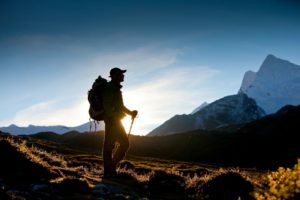 This hike is on the bucket list of a lot of chiropractic patients, and we always remind them to plan ahead! If you have ever driven through Scottsdale, you’ve seen Camelback Mountain. This hike starts from Echo Canyon Trailhead and is 3 miles’ round trip, but don’t be fooled, Camelback is not an easy hike to the top. The trail is all uphill, and reaches to 2,704 feet in elevation towards the top, and becomes more difficult the higher you go. Do not let the height and climb discourage you, the views are spectacular. Camelback can be family friendly, but we recommend this hike for kids 10 and older, as the trail becomes thin and towards the top, you will have to begin bouldering. If you are still excited about climbing camelback, we recommend you leave yourself 2-3 hours and start early in the morning or an hour before sunset. West Fork of Oak Creek trail is fantastic and located in the gorgeous Coconino National Forest. The closest town to it is Sedona. The trail runs along a river and is about 6.9 miles long. The trail ends where the canyon walls close in on you, and there is nowhere else to go unless you’re prepared to swim and wade through water. The trail is great for all ages and can be as long or short as you want it to be. There is a $2 walk-in fee, and if you don’t get there early, otherwise it can get crowded with all the tourists. The San Tan Regional Trail is located in Queen Creek, and once on the trail, you’ll have many options to divert paths. The trails can be 40 minutes long to 10 miles long, it all depends on the trail you choose. It’s worth it to go to see the views and the sunset, especially if you live in the Queen Creek area. It is important to note that there is a fee of $7 but worth it to see the views of the east valley. The Gilbert Riparian Preserve is a great place to take the family on a picturesque spring day, and there are plenty of trail options to choose from. These are considered urban hikes since there is a man-made lake you can walk around and feed the ducks, or you can walk into the wildlife sanctuary that’s east of the preserve. You can make the walk/hike as little as 15 minutes or as long as 2 hours, it all depends on the path you take. An excellent feature of the preserve is that there is a library and a playground for the kids to play on. We hope you enjoy this variety of hikes, but before you head to the trails be sure you are prepared by bringing plenty of water and snacks. Also, only pick the trails that best fit you and or your family experience level. 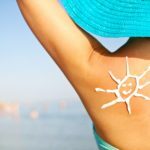 The Arizona summer heat is not here yet, but the sun is still harsh, so we recommend wearing natural mineral sunscreen that contains zinc oxide or titanium dioxide, and don’t forget to reapply. From all of us at Nevy Health, we hope you enjoy the weather and great family and or friend time.